Created to capture the gaze of those entering a space or approaching a table or a desk, Doc is the modern reinterpretation of a classical model, which combines tradition and innovation. 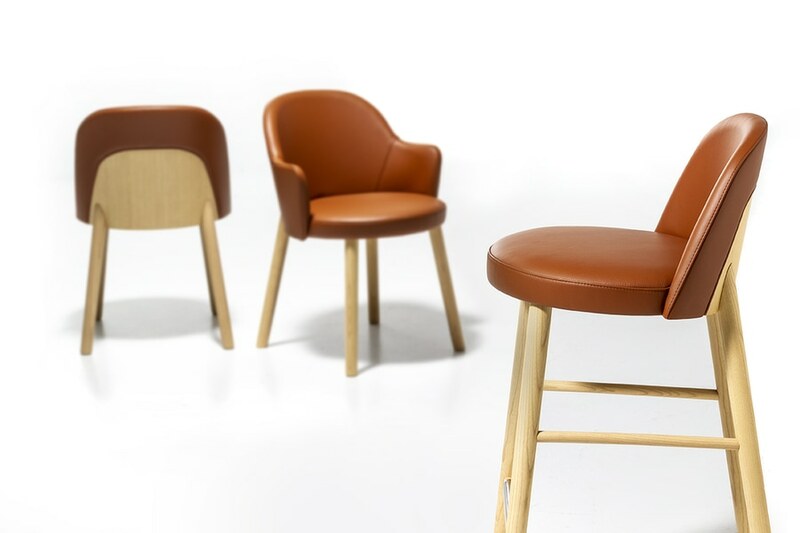 In perfect harmony with the warm and material mood and the idea of comfort proposed by Arrmet for the 2018 and 2019 seasons, Doc is a seating collection with ash-wood structure padded with fireproof foam and upholstery, soft and comfortable, perfect in proportions and in its design, unique in its kind and absolutely recognizable. After the success of the chair, presented at Salone del Mobile in Milan, Doc becomes a seating collection. 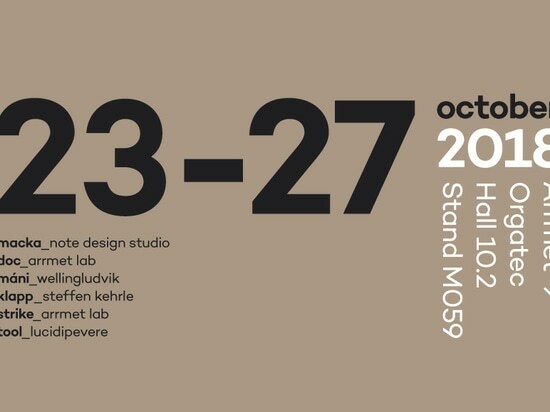 Orgatec will be the occasion to present stool and armchair, which complete this collection with identifying marks. 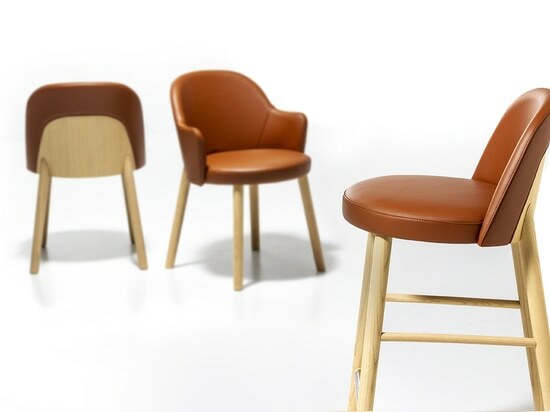 The backrest, where fabric and wood combine and reinforce each other, highlights a perfect material balance. 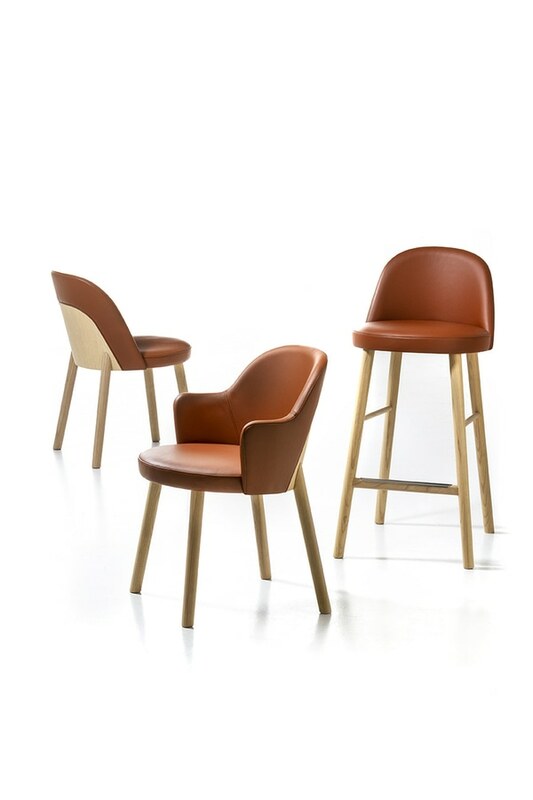 The fabric frames a wooden surface with a natural touch to which the back legs are fixed, defining the main identity of the seat.